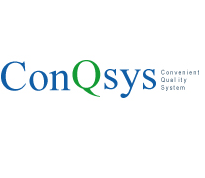 Company Name: ConQsys I.T. (P) Ltd.
We are looking for few right candidates for the post of .Net Freshers for a minimum contract of 2.5 years. In first 6months company commits for very good training exposure on various Microsoft Technologies — Asp.Net MVC/WCF/WPF/Silverlight. Candidate may need to relocate to Delhi,Rohini, due the timings , approx. 2pm to 2am. This is a 2years and 6months contract in which candidate must need to deposit security for the legal agreement. Security can be deposited as Rs.75000/- or all Certificates for the contract period which includes, 10th,12th, Graduation Mark sheets and Degree, Post-Graduates (if yes)- Degree and Mark sheet. Candidate must have to sign our legal agreement to obtain the employment in the company. U.P. Board or Other Board student should have minimum 60% marks in Math and English. C.B.S.E Board student should have minimum 70% marks in Math and 60% Marks in English. Candidate must pass our online Aptitude Test. Note: We are not charging any fee for training; it’s a completely free training and exposure to work with us on latest technologies. Initially for next 3 months company will not pay any stipend to candidate. After 3months stipend can be Rs.5k to Rs.8k for next 3months. On after each 6months performance will be evaluated and appraisal will be given. Approx. after 1.0 year you will be drawing minimum Rs.15k salary. Approx. after 1.5 year you will be drawing minimum Rs.20k salary. 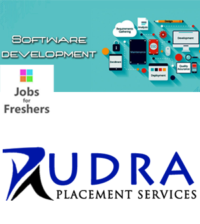 We are a leading IT solution provider and offshore development company providing software development, software testing, web development , application migration and other consulting services across the world, we are pleased to announce that we are serving to more than 1000 satisfied clients and software products users all over the world. ConQsys have created history by its working since 1998. ConQsys have its big software product range for enterprise and small business solution With state-of-the-art software development centre in New Delhi, providing solutions that are robust, scalable and cost-effective. Acknowledged as the most valuable company and positioned as a complete IT services organization, ConQsys provides end-to-end solutions to a wide range of clients from diverse sectors around the world.